[358KB] Click to view full size image. 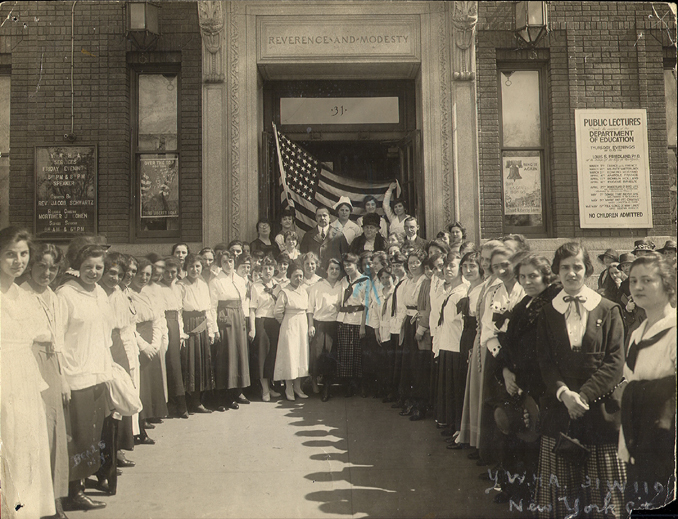 The Young Women's Hebrew Association was founded in 1902. World War I posters can be seen on the building which was located at 31 West 110th Street. During World War II the War Department leased the 110th Street building to use as a soldier's dormitory.